Fun Fact Fridays: Why do cows moo? – EXPLORE . ADVENTURE . DISCOVER . 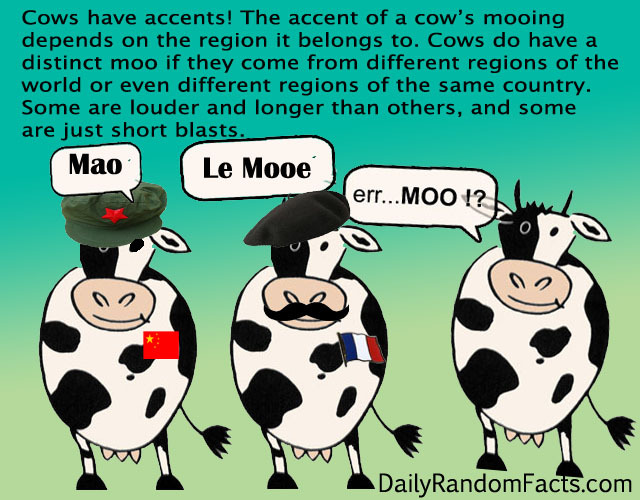 Fun Fact Fridays: Why do cows moo? Cows vocalize for a number of reasons and usually if they are mooing it’s because they are unhappy. A group of happy cows is usually silent other than the munching sound they make while chewing cud or eating. In my years spent around cows (28) I have noticed they have a couple of groups of different vocalizations with many variations within the groups. 1. First is the most distinct, and some say annoying, call of a bull (male) or cow (female) looking to hook up for some mating action. It starts as a low moo followed by a bunch of ooo’s separated by pauses. 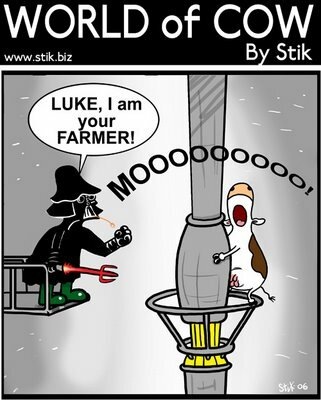 Something like moooooo-ooo-ooo-ooo-ooo-ooo with the ooo’s being a much higher pitch. 2. Another call is that of a cow looking for herdmates. It could be classified as a separation/searching call. It starts out high pitch and goes as high as a cow’s voice will allow, usually cracking at end. 3. A cow that is uncomfortable will make low, almost vibrating moo’s which they make without opening their mouths. Usually hear this if they are squashed between other cows or really pregnant and uncomfortable. 4. Calves that are playing (running around kicking up heels) will make a short vocalization that sounds like maaw. It usually starts out low and ends at the middle of their vocal range. This is one of those exceptions where cattle make a happy noise.